MACON, Ill. – It’s a three-ring circus Saturday during Heinkel’s Three Dog Night, when race fans can load up on food specials, enjoy cold Bud products in souvenir race buckets while watching the gals from Woody’s battle to qualify for the Bud Light Ladies Night championship race and IHOP gives away valuable coupons. You can’t afford to miss the action, the fun and the racing at legendary Macon Speedway. Midwest Big Ten Series Street Stocks go for $500 to win in a 20-lap feature event on the fifth-mile high banked oval, and ladies receive half-price general admission on Bud Light Ladies Night. 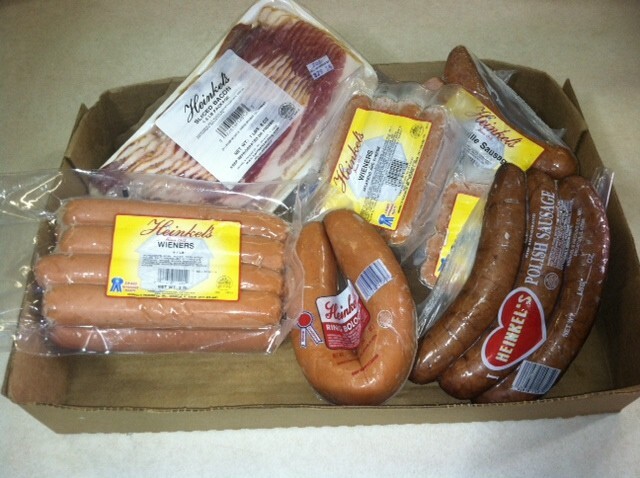 It all starts with Heinkel’s, a Decatur tradition since 1912. Macon Speedway offers dollar dogs, that’s $1 for a Heinkel’s wiener. There’s also a hot dog eating contest, so you better come to the track hungry and sign up for a chance to win a variety meat pack from Heinkel’s, who will also give away another meat pack to a lucky fan. Macon Speedway has featured Heinkel’s products for years. Go for the triple crown — a Heinkel’s wiener, polish sausage and smoked turkey leg. You don’t have to wait for the Heinkel’s sizzle. Just get to the concession stands. Look for T-shirts, camo hats and free hot dogs from Heinkel’s. As we search for the fastest women in town, the smokin’ hot gals from Woody’s will race in a five-lap shootout with the top two joining Jenny Cramer and Dana Damery from Rocco’s in the Bud Light Ladies Night championship race on Sept. 13. 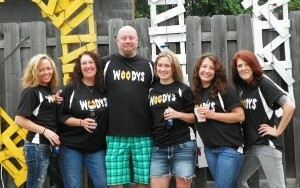 Woody’s, 1190 W. South Side Drive in Decatur, is a great choice for one last stop for fans and race teams after the action is done at Macon Speedway, because there’s always plenty of trailer parking, and Woody’s will feature well drinks for $3 and domestic bottles all day on Saturday for $1.75. With such hot action on the track, you guys better get cooled down. So Macon Speedway partnered with Skeff Distributing for race buckets. 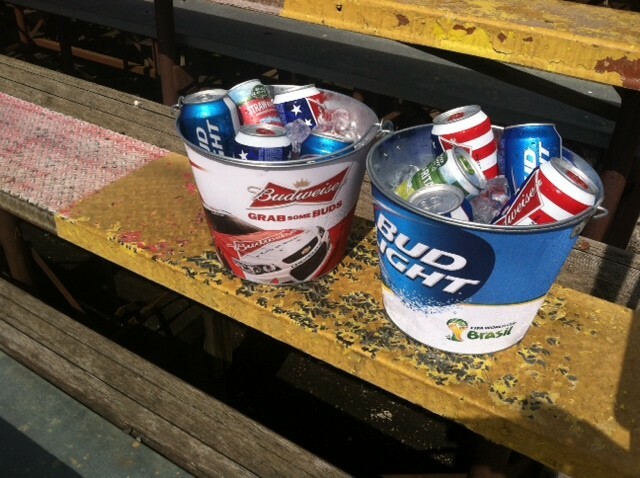 The Bud and Bud Light souvenir buckets are a keepsake, so get here while supplies last. For just $20, you get the bucket, five cans of Bud products and the ice to keep it cold. The refills of five beers and more ice is only $15. You keep the bucket. With the ladies admitted into the grandstands for half price, you guys better make a move to Macon Speedway. There will also be free merchandise from Budweiser. So make sure you have a place to put your beer if a T-shirt is thrown your way. OK, so when you get hungry Sunday morning, there’s one place to go. Use the coupon handed to you at the front gate and head to IHOP, 1280 E. Pershing Road, Decatur. With the purchase of one entrée and two drinks, the second entrée is free. So drop the green flag and get your motor runnin’ to IHOP. And there’s so much more to the racing than the Woody’s girls heading around the track. Macon Speedway will run seven classes with Billingsley Towing Modifieds, Big Ten Street Stocks, Sportsman, Outlaw Hornets, Stock Hornets, Beach House Mini-Sprints and Illinois Lightning Sprint Series will also racing.